UConn Law School moved from its former location at the intersection of Trout Brook Drive and Asylum Avenue in West Hartford to the beautiful 20-acre campus on which it now sits in 1984. The property was purchased and then renovated by the State of Connecticut in 1978 to house both the School of Law and the State Attorney General. While most members of the community know the State purchased the site from the Hartford Seminary, many remain unaware as to the history and architectural details of the Law School’s buildings. The Hartford Seminary purchased the land that now houses the Law School in 1912 for $85,000 from the James J. Goodwin estate. According to the Law School archives, the land sat vacant until construction began in 1922. The original quadrangle of buildings included MacKenzie Hall (now housing the Connecticut Attorney General), Knight Hall, Avery Hall (now known as Starr Hall), Hosmer Hall, and Hartranft Hall (now known as Chase Hall). The architectural firm Allen and Collens of Boston designed the collegiate gothic style buildings, which were then built by the construction firm Bartlett and Brainard of Hartford. Starr Hall remains the focal point of the Law School campus. According to the Law School archives, Starr Hall was completed in 1926 at a total cost of $238,000. At that time, the campus’s main driveway passed under the building’s 12-foot archway. The building was originally named in honor of Samuel P. Avery, whose donation made its construction possible. 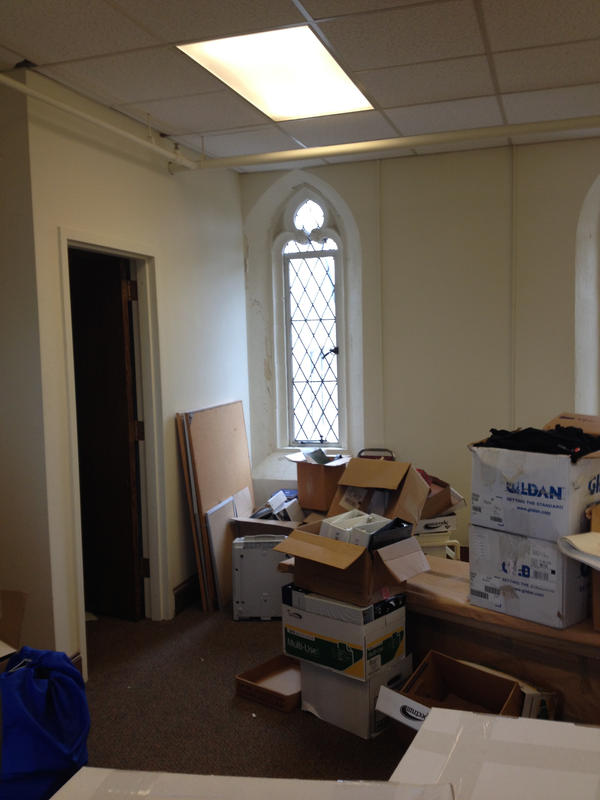 It previously contained the Case Memorial Library of the Seminary, and also served as the library of the Law School. According to Facilities Manager Jim Missell, the space in Starr Hall that now contains the Law School’s two courtrooms formerly housed four stories of library stacks. One of the most memorable aspects of Starr Hall is its tower, which rises 120 feet from the ground and contains four levels of rooms below its rooftop. 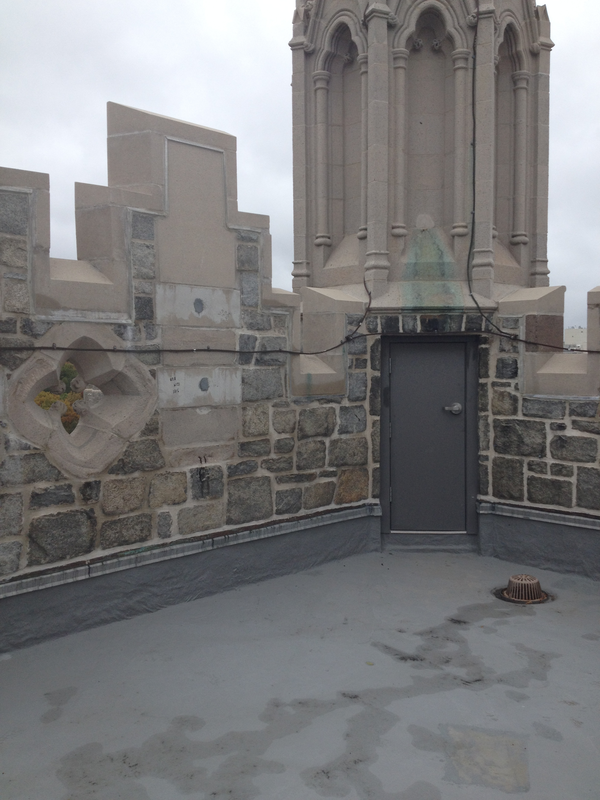 The lowest level of the Starr tower is the only portion open to the public. It contains the office of the Director of Development and forms the walkway from one half of the building to the other. Directly above is a spacious room currently used for storage, conveniently attached to Room 305 of the third floor (formerly Career Planning’s conference room, currently unused). 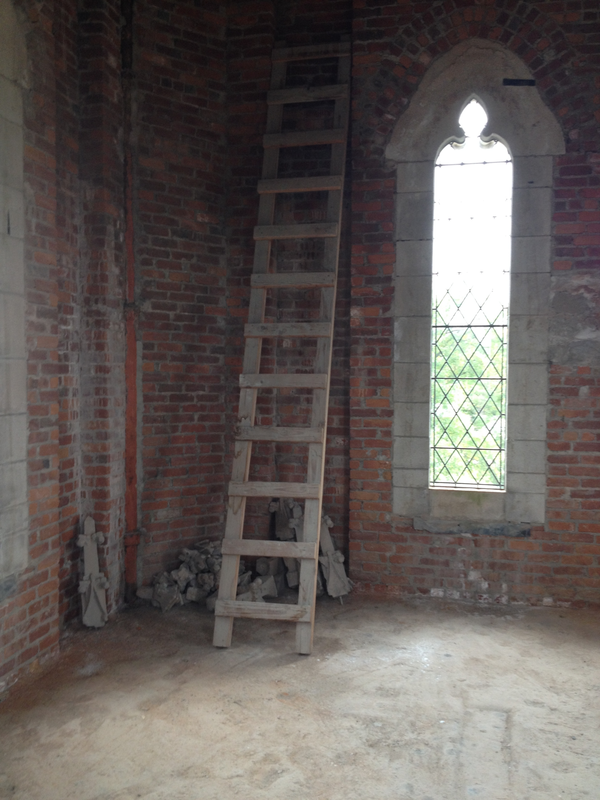 After the second ascending level of the tower, access to the remaining floors is only available via an unlit, winding metal staircase, and the rooms are no longer insulated or fully finished. 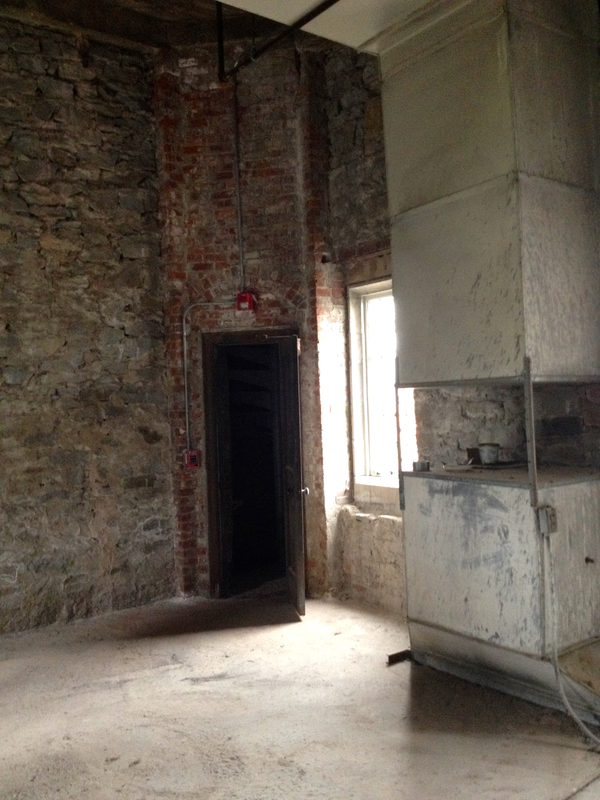 The top two levels in the Starr tower are barren rooms with cement flooring and exposed brick walls. The staircase ends at the rooftop, which is empty but of expansive views of the Law School campus and the Hartford skyline. Although the tower is the most prominent architectural aspect of the building, there are many interesting historical details and oddities that should be noted. For instance, the majority of the building located on the right side of Starr’s arch was not added until 1955. The addition was originally built to house the Kennedy School of Missions, and now contains various offices, a classroom, the Law Review office, and maintenance. The right-side basement of Starr Hall houses the boiler room, while the left-side basement contains classrooms, offices, and a small gym. One hidden novelty under the arch is a tunnel that connects these two sides. 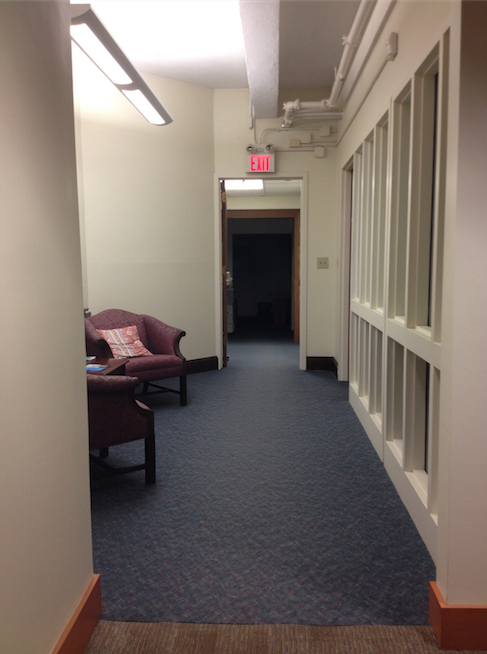 The tunnel is at best four feet high in some parts and runs from the boiler room to an office belonging to the Law School’s Facilities staff. According to a 1980 publication by the Hartford Architecture Conservancy, Inc., the sculpture of all of the Law School’s original buildings include many symbolic motifs in keeping with medieval practice. In Starr, this is exemplified by the decorative archways in the main entryway. On the bracket of one archway, visitors will see a figure of Samuel P. Avery, the building’s original benefactor, with a miniature of the building on his shoulder. Starr Hall also has architectural oddities due to renovations made to the building over the years. In the Admissions Office, for example, there is a staircase that is now defunct as it currently leads only to the ceiling. And in one side of the Starr archway is a door that has been sealed shut. The room that the door leads to is now an office and its floor comes approximately two and a half feet up the door. Formerly, the room contained a staircase leading to the building’s third floor. Be sure to keep an eye out for these hidden architectural details when walking around campus. Pro Se thanks Facilities Manager Jim Missell for taking the time to provide information on and a tour of Starr Hall.